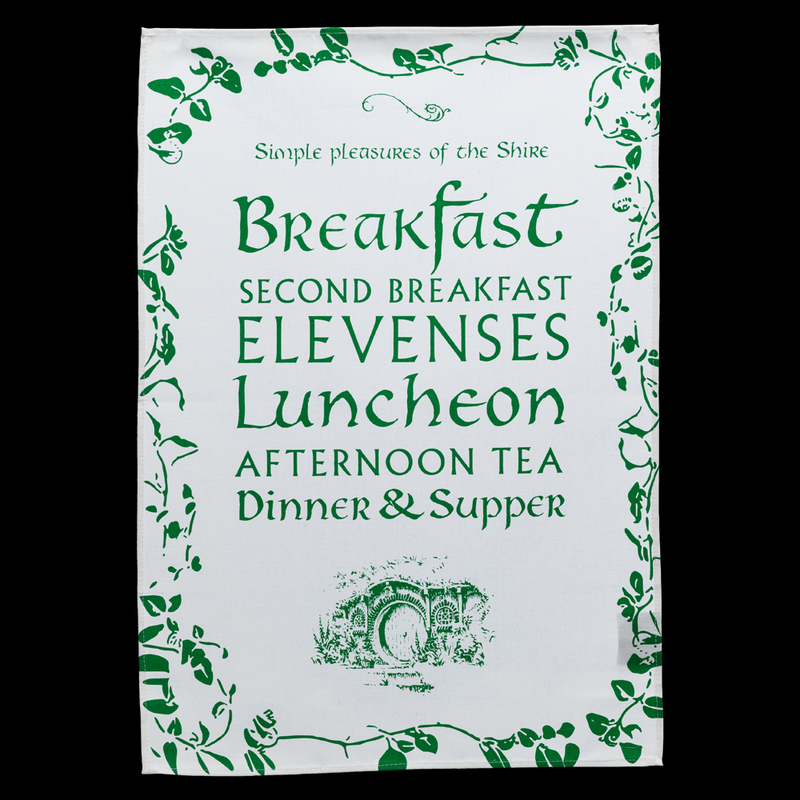 To prepare a feast fit for Hobbits, one must fix at least seven square meals. It is known that Halflings have seemingly bottomless bellies. And they’re merrier for it. 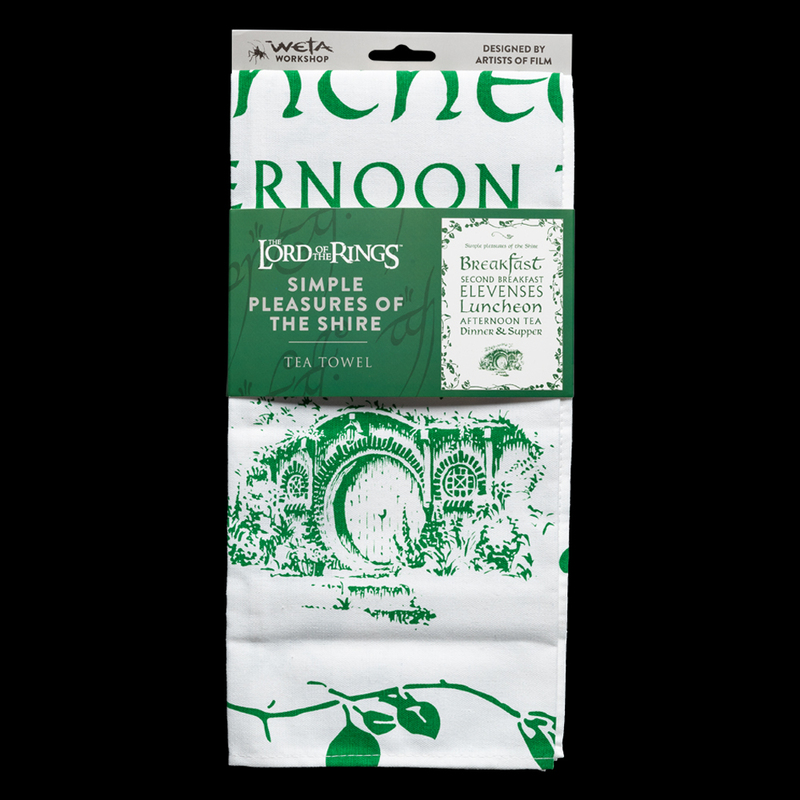 We’ve emblazoned the Simple Pleasures of the Shire on a tea towel, made from 100% cotton. A fitting addition for your Middle-earth collection! Display yours with pride of place in the heart of your home; or dry many a dish once your company of Dwarves depart after dinner.